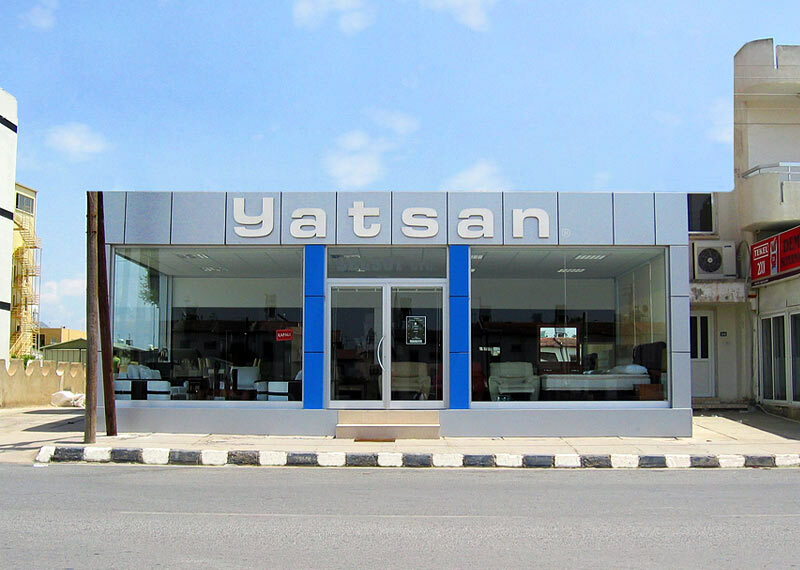 We are the authorised distributor of YATSAN furniture products in the whole of North Cyprus. For over 30 years, YATSAN has been a leading Turkish brand of quality furniture and beds. YATSAN combine the latest technology and quality, hand-finished styling in their range of beds, sofas, chairs, and other furniture. YATSAN are gaining an international reputation for high quality spring mattresses, providing comfortable support for your body all night long. All YATSAN furniture has full UKAS ISO 9001:2000 accreditation. YATSAN furnitures holds UKAS accredited ISO 9001:2000 certification. The YATSAN range of lounge furniture is stylish, comfortable and made to last! From traditional style suites to sleek, modern corner seating, our range of YATSAN furniture in North Cyprus is ready and waiting for you to sit on, lounge on, relax on - and buy with furniture credit options. Just visit our North Cyprus furniture shop in Lefkosa. We also offer furniture packages in Northern Cyprus for your rental villa, holiday apartment or private house. Why Buy a YATSAN bed for your North Cyprus home? We spend an incredible one third of our entire life asleep, that's over 25 years on average. So, you'll want a bed that give you all the support you need for a restful night's sleep, so you can make the most of the 50 years or so you'll spend wide awake! Research has shown that the average adult turns approximately 50 times in their sleep every night, of which up to 12 turns are full rotations of the whole body. That's a lot of movement, so it's no wonder that mattresses (and beds) do wear out. YATSAN beds and mattresses are built to last you for years, with a choice of spring systems to support your spine, and firm fillings to provide comfort. If your bed is over 8 years old, it's time to retire it! Then, rediscover what a comfortable night's sleep feels like at our North Cyprus furniture and bed shop. Beds and mattresses have a way of telling you when they need replacing, by forming those annoying valleys you roll into, or that irritating hill behind your back. Ideally, you should replace your old bed long before the mattress reaches that stage, so your back and skeleton is properly supported at all times when you sleep. It is very important that you try out your new YATSAN mattress and bed before you buy. So, come down to our comfortable Lefkosa furniture showroom in North Cyprus, and try them out for yourself. Feel free to lie on any of our beds, for as long as you want, until you find the right bed and mattress combination for you and your partner. We suggest you wear comfortable clothing and slip-on shoes, and plan to spend at least an hour finding the right YATSAN beds for your North Cyprus villa, apartment or house. Not only do we stock the best Multispring mattresses from YATSAN, we also offer great prices too. Multispring mattresses support your spine throughout sleep, from the lightest doze to the deepest REM sleep-state. YATSAN springs are made from 2mm super-strong steel, to provide enough 'give' for comfort, but enough resistance for proper support. All YATSAN mattress frames are protected by high density block foam, that protects your mattress from everyday knocks and bumps. YATSAN mattresses are manufactured in non-flammable fabric, and extra anti-bacterial treatments are available for those with allergies. Our furniture store in Lefkosa (North Nicosia) is your one-stop shop for all your furniture needs. We are open from 9am to 7pm weekdays, and on Saturdays from 9am to 3pm. Click on the map on the right sidebar for driving directions to YATSAN furniture shop in Lefkosa.